You may have heard how effective physical therapy-based sports injury treatment is. However, you may not have heard about how electrical stimulation helps with these treatments. At SSOR, we’re dedicated to helping the residents of Prairie Valley, Overland Park and Shawnee, Kansas get great physical therapy. One reason we’re so successful at accomplishing this goal is we personalize our treatments. This means that we only include the therapies in your plan that provide the maximum benefit for you. One such therapy is the electrical stimulation that we often use in sports injury treatment plans. Our team has helped many patients create successful personalized sports injury treatment plans. One reason we’ve been so successful with these treatments is we have many therapy methods to choose from. However, one of the most beneficial methods we often use on sports injuries is electrical stimulation. Electrical stimulation is a therapy that uses small electrical pulses. First, electrode pads are placed on the site of your injury. Then, wires are attached to the pads and to a machine. Next, the machine is turned on, and it produces low-power electrical waves that flow into your body through the wires. Finally, the electrical pulses enter your damaged muscles and soft tissue. 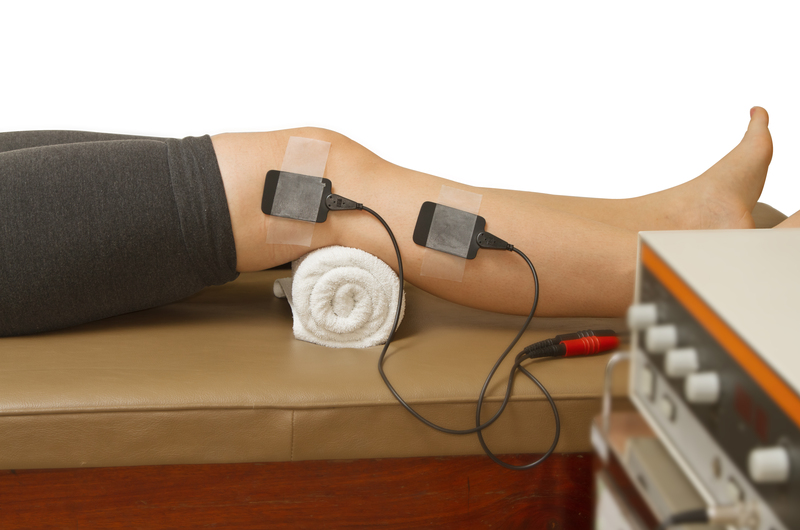 There are two reasons we use electrical stimulation so often for sports injuries. For one thing, this treatment blocks the pain receptors in the nerves around your injury. This prevents your nerves from sending pain messages to your brain. For this reason, electrical stimulation may help to reduce the pain of your injury. The other reason we frequently use this therapy is it encourages your body to produce endorphins. Endorphins are your body’s natural pain relievers, and their increased production as a result of electrical stimulation may also help to lower your pain. Electrical stimulation is just one type of therapy that may help you recover more quickly from your sports injury. However, our team knows there’s something else that may help reduce your recovery time even more, and that’s beginning your treatment as soon as possible after your injury. Luckily, we offer free 15-minute screenings that make it easy to get started with your sports injury treatment.